During the last weekend our B-team, Badass Beavers, was keeping busy. 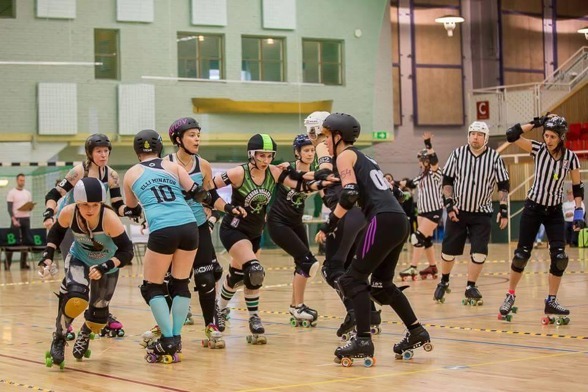 Gothenburg Roller Derby arranged a triple header, featuring the Beavers, Uppsala BURDs and Växjö Värends Vandaler. The three teams all played each other in three exciting games during last Saturday. 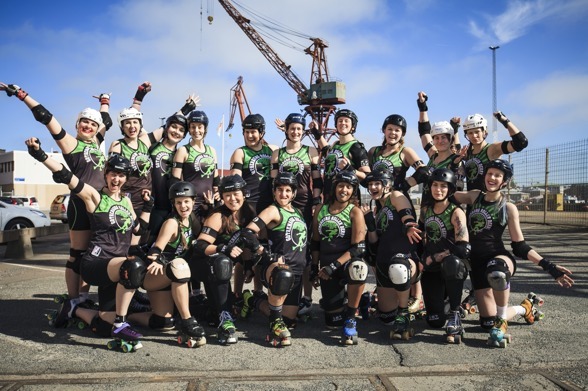 Firstly, the Beavers took on Uppsala BURDs, who due to some injuries were reinforced with players from Helsingborg Helltown Hellcats, among others. After an even start, the Beavers took the lead and ended up winning the game with 222 to 76. The second game was between BURDs and Växjö Värends Vandaler. If Uppsala were tired from already having played a game, you sure couldn’t tell, because they took home the win with 244 against 93. In the final game of the day, the Beavers took on Växjö. Växjö put up a good fight, just coming out of their previous game, but ended up losing to the Beavers with 68 to 327. The Beavers ended the season with two wins. You could really tell that all the track time and practices they've had has developed the team into a strong unit that works together like a well-oiled efficient machine, where everyone is always in the right spot. Gothenburg Roller Derby and the Badass Beavers would like to thank Uppsala BURDs, Växjö Värends Vandaler, all the volunteers, skating and non-skating officials for making this day possible. We would also like to thank everyone who was there to cheer the teams on, and who helped create an amazingly lovely end of season arrangement. See you in the fall! Our A-Team is participating in the tournament Coastal Chaos in Rockport, Maine, hosted by Rock Coast Rollers in June. Our goal is to bring back the gold to Sweden. We have a couple of team members who are affected by Donald Trump’s travel ban due to dual citizenships. After much consideration we decided to go - all together to show the world that we don’t back down because of racism. Unfortunately it’s expensive to send 17 people to America. This is where you come into the picture. We need your help to collect the money we need. Every contribution is much appreciated, however big or small. Please donate here: GBGRD A-Team Gräver Guld i USA!! 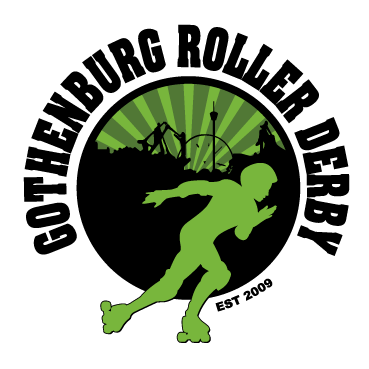 For extra generous contributors we have a beautiful Roller Derby Against Racism T-shirt. More information if you click the link.